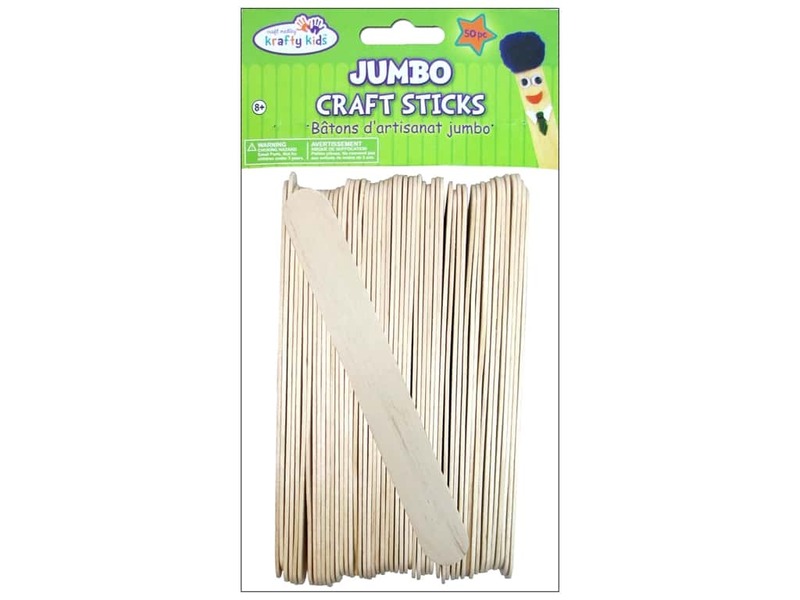 Description: Craft Medley Craft Sticks are unfinished, solid wood. They are great for painting and staining, and you can make endless projects by using several different individual parts to make unique and fun new creations. These are not toys, not intended for children under the age of 3. Jumbo. 6 inch. Natural. 50 pc. See more Multicraft Krafty Kids.